Running from a dark past never works. As evidenced by countless narratives, from age-old lore to contemporary films, trying to escape a damaged reputation is tricky business. And when that business is founded in cold, hard science? Forget about it. Until very recently, this was the case for fat transfer breast augmentation. In 2009, the American Society of Plastic Surgeons (ASPS) lifted a 1987 ban on the procedure, ending a decade-long moratorium and re-stimulating its use and discussion. Here’s a look at what’s changed, and how fat grafting is regaining its reputation in the field of breast augmentation. The greatest source of criticism – and eventual reason for the ASPS ban on fat grafting to the breasts – was a combination of technological deficiencies and poor post-graft cell survival rates. In the early days of the procedure, fat grafts often did not vascularize or “take” well, which led to their eventual demise. The transferred fat was reabsorbed by the body, which in many instances, culminated in micro-calcifications within the breast as visualized on mammogram. Radiologists at the time were challenged to differentiate these calcifications as either secondary to fat transfer or a cancerous etiology. This would eventually lead to an ASPS ban on the procedure. Another roadblock in the evolution of the procedure involved volume restrictions on transferring fat. This again is derived from fat-graft survival rates, as transferred fat into the breast (or any area of the body, for that matter) requires a robust blood supply in the recipient transfer area for survival. Accordingly, an inverse relationship between the volume of fat being transferred and the percentage survival rate of the transferred cells meant more procedures and higher overhead for the patient, as compared to traditional breast implants. Advances in preparatory measures – particularly in the use of external expansion of the breast prior to the grafts being placed – have contributed to improved success rates and higher patient satisfaction. The most common method involves the short-term use of Brava, a bra-like soft-tissue expander that temporarily increases the size of the breast and creates a fibrovascular scaffold. The result is increased space and a receptive tissue matrix that allows for a higher volume and more even distribution of fat, as well as higher viability of grafted cells. One of the biggest complaints in the fat transfer method was the limitation in achievable breast size. While implants allow for greater augmentation and more consistent long-term results, fat transfer was limited both by the previously discussed restrictions on grafting volume and the body’s inevitable re-absorption of grafted fat. Implants vs. 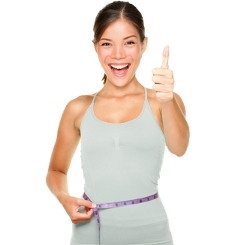 Fat Transfer: Which is Right for You? There are a number of factors that should be considered and discussed with your plastic surgeon when deciding between implants and fat transfer for breast augmentation. One of the most important predispositions is the existence of adequate fat stores on the patient’s body, particularly in the stomach, buttocks, and thighs. Equally important is the desired enlargement of the breast. Autologous fat transfer can still only provide modest augmentation, while implants can afford a greater range of sizes. Fat transfer breast augmentation is also generally a longer procedure than surgery for placing implants, as the fat is injected as microdroplets throughout several layers of breast tissue, and may require multiple procedures. The plus side? Incisions are minute, lowering the risk of scarring; patient downtime is decreased, with most returning to their normal routine within one week of the transfer; and lastly, the feel of the natural breast is maintained, which is important to many of our clients. Fat transfer has endured its growing pains, and can now be considered a viable option for breast augmentation. While recent studies have shown success in the longevity of transferred cells and high overall patient satisfaction, it is important to note that the procedure is still evolving, and still comes with a hefty price tag. Additionally, further studies are required, as the nature of fat as an endocrine organ has not been well studied and demands further investigation. However, for patients who are wary of synthetic implants and desire a modest, natural-looking increase in breast size, fat transfer may be an appealing, natural alternative. The American Society of Plastic Surgeons (ASPS) and the American Society for Aesthetic Plastic Surgery (ASAPS) urge consumers to proceed with caution when considering a fat-transfer breast augmentation. The benefits of such procedures may well be offset by risks with self-examination, mammography, and MRI evaluation of the breast in screening to rule out breast cancer. 1. 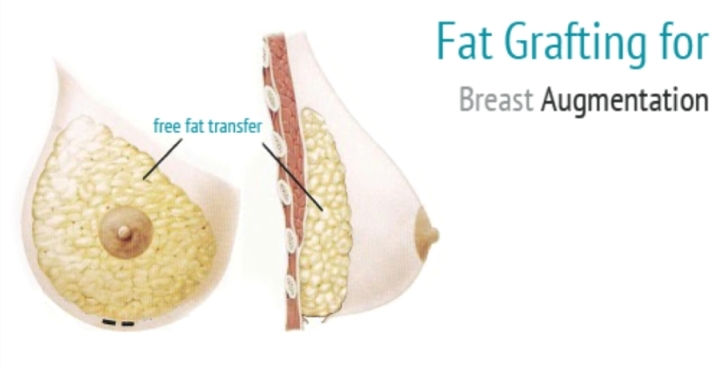 Concerns have been expressed regarding the potential that fat grafting to the breast may disrupt or delay diagnosis of breast cancer. However, in light of a lack of scientific evidence available on patient selection, expert opinion calls for caution when considering fat grafting procedure in patients at high-risk for breast cancer including a positive BRCA-1, BRCA-2 and/or personal or familial history of breast cancer. 2. Studies indicate that results of fat transfer remain dependent on a surgeon’s technique and expertise. 3. Each physician must ensure that a means for providing the appropriate informed consent for each patient has been established prior to the treatment. The consent should include the fact that there is limited scientific evidence available to verify the safety and efficacy of fat transfer procedures. 4. When interpreting and applying these guiding principles to their individual practices, physicians should use their personal and professional judgment. These guiding principles should not be construed as a rule and are not meant to serve as the standard of medical care. Glenn Vallecillos, M.D., has earned a national and international reputation as one of the most highly skilled and trusted plastic surgeons in the field. Repeatedly named one of “America’s Best Surgeons,” Dr. Vallecillos is a respected researcher, speaker and educator who serves discerning patients worldwide. He has been featured in numerous media outlets including CNN’s Larry King Live, Inside Edition, and Fox News. For more information, visit his website at BeverlyHillsCosmeticSurgeon.com.